The calendars have turned to September, temperatures are dropping, leaves are changing and football is underway, all signs point to whisk(e)y season. That wonderful seven-month season where the bottles of gin and rum start gathering dust and the Manhattan becomes my go to drink. It is also the season where all manner of whisk(e)y drinks call to me. There is a great deal of confusion surrounding this family of spirits, and rightly so, even a seasoned imbiber like myself has to carry a cheat sheet in my wallet. Coincidentally, I am often asked about the difference between whisky and whiskey, and why it means different things to different people depending where you are. Entire books have been written on the subject and they are well worth reading, consider this the Cliffs Notes version, suitable for sounding more intelligent than your booze hound buddies, but not sufficient to carry on an in depth conversation. Loosely, whisky or whiskey is a distilled alcoholic beverage made from fermented grain mash. Different grains are used including barley, rye, wheat, and corn. 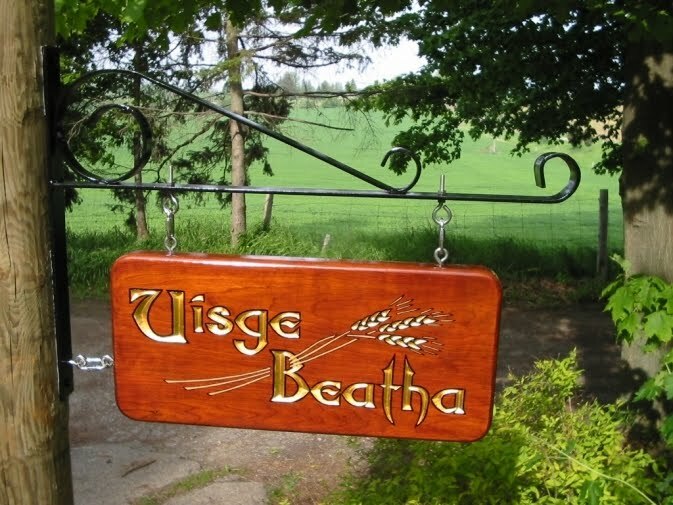 The word derives from the Gaelic uisge beatha, pronounced ooshky-bay, meaning water of life. It eventually morphed into uiskie and later whiskie. To totally bastardize the bard, to “e” or not to “e” is the question facing most of us today. The usage of the letter that was conveniently left off all of our report cards, really has little rhyme or reason. Whiskey, typically refers to American and Irish flavors. Whisky, is generally used for Scotch, Canadian and Japanese varietals. A couple of exceptions are Maker’s Mark and George Dickel which have chosen the shorter whisky, perhaps to save space on their labels or a copy writing error that has been overlooked for decades. To make matters even more confusing, within the US there are multiple variations as well. We have rye, bourbon and Tennessee whiskey. Bourbon is made primarily from corn. Rye is made from mostly rye (go figure). Tennessee whiskey is basically bourbon that goes through a different filtration process. There are further variations within this theme, but this is enough detail at this point. I will fully admit that this is not a comprehensive explanation, but for our purposes it will provide enough information for the upcoming recipes. For many of the soon to be revealed pleasures of the palate, these spirits can be substituted for one another, providing a slightly different flavor, allowing for personal preference. For my part, I will publish the recipe in its most traditional form but will note where I personally prefer a variation. Regardless, embrace the colder weather and the fresh palate of flavors that awaits you!